balzer projects is pleased to announce Sri Lankan artist Deneth Piumakshi Wedaarachchige’s first solo show in Switzerland. In the cabinet of the gallery, the artist will mount I am not guilty, an installation testing the narrow dividing lines between political activism and art. 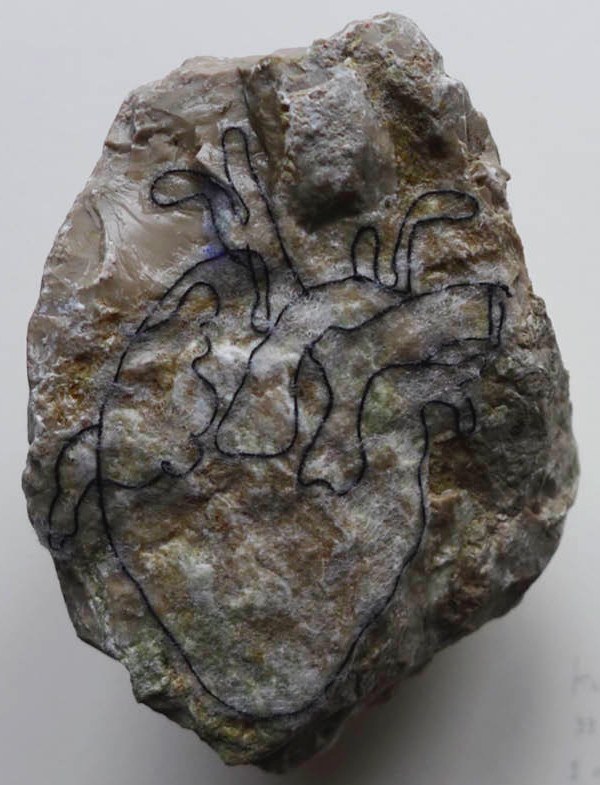 Deneth’s works generally include textile, cement, rock/stone, embroidery, video, sound, performance and installations. In I am not guilty she concentrates on rock, and embroidery. I am not guilty focuses on 21st century slavery in the Middle East. The exhibition addresses stories of violence against female domestic workers from Sri Lanka, their ability to survive, respect and yet resist the dominant culture. The political climate and domestic hierarchies in Middle Eastern countries are dominated by strong Islamic religious laws and beliefs, which are incompatible to the women’s own religious and cultural belief systems and experiences. Discussed as a form of modern day slavery, labor laws and issues of exploitation in the Middle East have been prominent in the news recently. Public outrage has mostly focused upon working conditions of foreign workers encountered on construction sites of the FIFA World Cup in Quatar in 2022. However, only the surface of this highly political and economic issue has been scratched thus far and no artistic practice has been committed towards this issue until now. Most women from Sri Lanka who work in the Middle East have to face the separation from their families and their children for years. Their working conditions are abysmal – long and unregulated working hours, lack of health insurance and access to medical treatment, lack of privacy, vacation or even free-time in additions to pay below anything resembling a fair wage. The majority of young women working abroad are between 19 and 30 years old and face separation their families for the first time. Sri Lankan house-maids are popular in the Middle East for the hard working, conservative cultural backgrounds and their inexpensive services. Unlike the Philippines, which demand safe and fair conditions for their domestic workers abroad, the Sri Lankan government ignores the situation. This is convenient for Middle Eastern employers and as a consequence, the community of Sri Lankan domestic workers abroad is growing rapidly. Deneth Piumakshi Wedaarachchige’s goal is to transfer embroidery directly on the surface of cement and even human skin. Inspired by poetry, pain, existence and real life stories of those who faced long term violence, discrimination and manipulation, she completed a performance, entitled Your faith is in your hand in 2016.